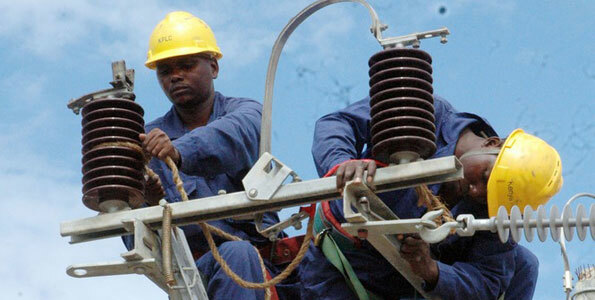 KAMPALA- Inflows from Uganda’s electricity exports have increased from $16.9 million (about Shs60 billion) in March 2016 to $35.6 million (about Shs127 billion) in March this year according to the Bank of Uganda. The increase is attributed to the long dry spell in Kenya that led to the drop in water levels in many of Kenya’s hydropower dams which impacted on ability to generate at full capacity. According to the Uganda Electricity Transmission Company Limited (UETCL) data, Uganda in March 2016 exported 7.98 megawatts to Kenya alone. This increased to 51.1 megawatts as of March 2017. Exports to Kenya could have also been informed by Kenya’s decision to use less of its costlier thermal electricity in favour of cheaper hydropower to supplement its hydroelectricity and geothermal supplies. Besides Kenya though, Uganda exports electricity to the northern Tanzania, Rwanda and DR Congo, which in case of erratic supply from their suppliers rely on power from Uganda. Over the same period, electricity exports to Tanzania increased from 8.2MW to 14.94MW, those to DR Congo from 0.24 megawatts to 0.27 megawatts. The increased inflows are also due to the imported fuel prices. In March 2016, a barrel of oil was trading at $33 (Shs117, 346) whereas as of March 2017 it was averaging $50 (about Shs177,797) per barrel. Over the last twelve months, electricity exports to Rwanda declined from 0.65 megawatts to 0.63 megawatts. Uganda currently has an installed electricity generation capacity of 886.3 megawatts though at most it generates 650 megawatts. During the peak hours (6pm to midnight when more electricity is consumed), constrained demand peaks at 541 megawatts. Thereafter, it drops considerably and only begins to peak up at 6am when many households and manufacturers again switch on their electrical appliances or equipment. With the 600 megawatts Karuma and the 183 megawatts Isimba hydropower plants expected to start feeding the grid in two years, there are fears Uganda will have excess electricity. It is with this in mind that Energy minister Irene Muloni said during the Electricity Regulatory Authority forum for the sector’s executive officers that electricity transmission lines that could be used to wheel electricity to neighbouring countries should be built. During the forum, the chief executive officer of UETCL, William Kiryahika, said the government should plan for the uptake of the electricity that will be generated by the new plants. Kiryahika, an engineer, said the generation companies will expect to be paid for the power they generate.